Why go out for a hamburger when you’ve got steak at home? 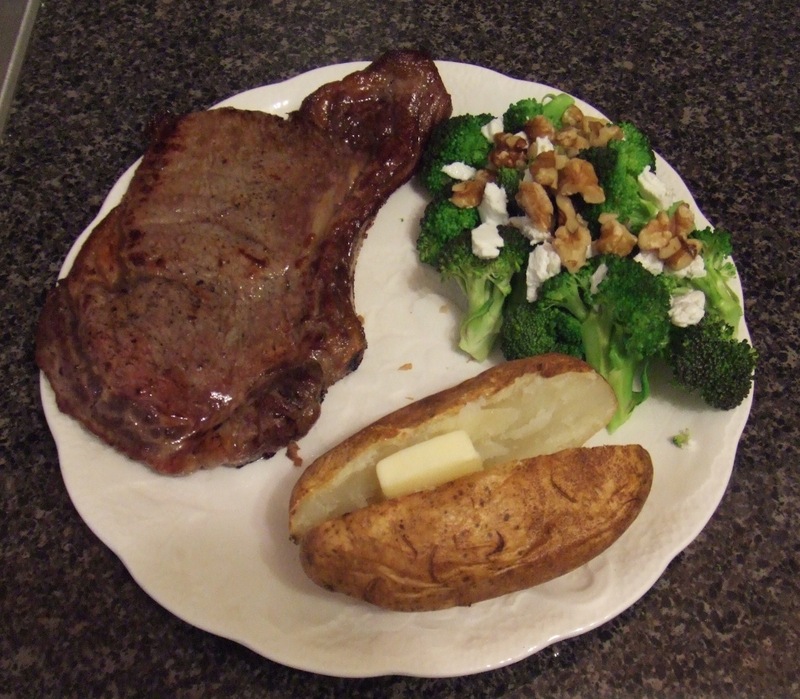 | Food E.
Why go out for a hamburger when you’ve got steak at home? This past weekend, I found myself completely caught up in the summer heat with an intense craving for some red meat. I wanted a freshly grilled burger or a sizzling steak or even a Zweigle’s hot dog with that delicious crispy skin you can only get from a charcoal grill. Nothing says summer to me like the smell of grilled meat. Well… maybe grilled meat followed by some ice cream. While there is nothing very complicated about this meal, it’s a classic, it’s sure to please any meat eater, and it can be created in a quick thirty minutes. In order for the steak to really hold in all the juices, the outside layer needs to sear. When you place your steak in the skillet, don’t move it around at all aside from the single flip. Never cut your steak open immediately after it’s removed from the heat (or taken out of the oven). Meat contracts when it’s heated and all the juices run to the center. It needs at least 15 minutes after it’s been removed from heat (longer if it’s a big honking piece of meat) to relax and release and let the juices redistribute. If you cut a piece of steak straight off the heat, all the juices will run out onto your plate. And that ain’t cool. Trim stalks off of the broccoli and cut into bite-sized pieces. Throw the pieces into a pan with an inch of water at the bottom. Turn the heat to medium and let the broccoli cook until the water is 99% gone. Plate broccoli and break up goat cheese over the top while it’s still hot enough to slightly melt the cheese. Sprinkle walnuts over the top. And for dessert? Ice cream. 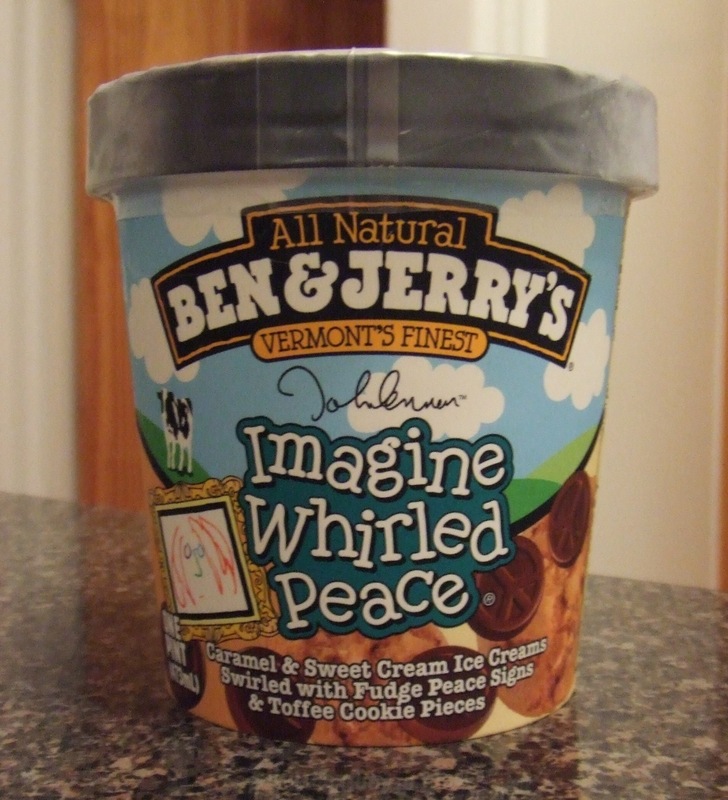 And when your local grocer, has a sale on Ben & Jerry’s… well, it’s like fate made that decision for you, now didn’t it? Pingback: Meat and Potatoes: 2.0 « Food E.